1.7 How Does Platinum Investing Differ From Other Metals? 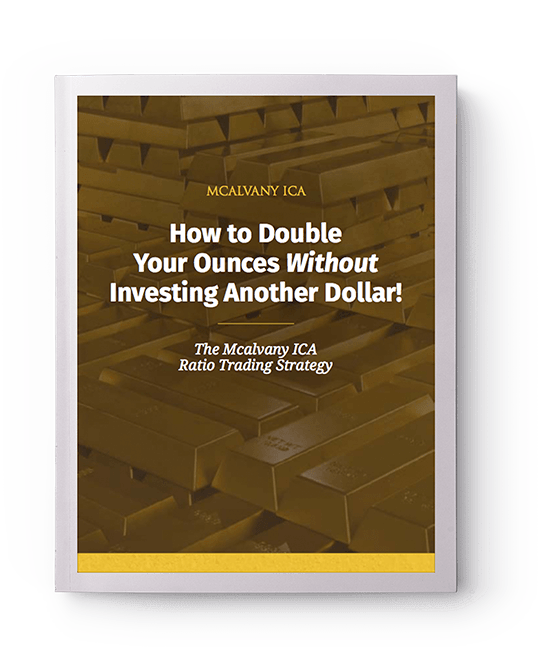 1.9 How Do You Choose A Precious Metals Advisor? Platinum is one of the rarest and most used precious metals on earth. Along with other “sister” metals like palladium, rhodium, ruthenium, iridium and osmium, these extremely rare metals often appear naturally together. Called the “platinum group” metals, the others are byproducts of platinum mining, and were only discovered as standalone products in the 1800’s as refining technologies improved. Prior to that time, platinum products were often an alloy of a few of these metals. Roughly 80% of annual global production of platinum comes from South Africa. The remainder is primarily produced in Russia, and global demand remains high for the vital and highly precious metal. Platinum is 14 times more rare than gold and appears at much deeper depths in the earth’s crust. Platinum also has far more industrial uses today than the more popular investment options like gold and silver. While 30% of global production is still directed towards the jewelry industry, over 50% of platinum mined each year is used in catalytic converters within the exhaust system in cars. The small remainder is divided between the investment and medical industries. Beginning in the 1700’s as research and technology improved, British scientist Charles Wood began studying possible commercial and manufacturing uses. Even today, platinum’s unique properties continue to offer surprising benefits in the automotive and medical industries, along with it’s continued use in jewelry. In the 1800’s, a method of extracting pure platinum from its sister metals was developed. The “metal that would not melt” remained as such, and platinum was extracted using an acidic fluid. However, the byproducts removed during the process, like palladium and rhodium were not separated and refined into usable products until later, when refining methods were created that could reach the temperatures necessary. The unique properties of platinum help clean exhaust before it is expelled from a vehicle. With modern environmental laws, any engine which requires a catalytic converter, requires platinum. As those laws expand, so should the need for platinum-group metals. Aside from jewelry, the remaining 10 to 15% of production is primarily used in investment-grade products like bars and coins, and various medical applications including the fight against cancer. Over 50% of cancer patients today are treated using methods requiring platinum. Due to its resistance to tarnish and corrosion, platinum offers an exceptional delivery system for many cancer treatments. Additional research has also shown platinum to have anti-neoplastic properties, meaning it prohibits the development of tumors. Platinum not only serves a vital purpose in the delivery method of cancer-fighting drugs, but is now contained within the drugs themselves. Platinum remains at the forefront of medical innovation, as these same properties that allow it to interact safely with the human body also make it a high candidate for any new bio or nano technologies in the future. Palladium was not discovered until the 1800’s, when new technologies were created allowing for much higher temperatures to be achieved during smelting processes. The extremely valuable byproducts of platinum extraction could be separated and all the platinum-group metals were now able to be extracted themselves. Palladium, along with the other platinum-group metals share many of the same properties and similar industrial uses. Along with South Africa, much of the world’s annual production comes from Russia. Palladium is the only “sister” metal to platinum also used to produce pure coins and bars available to private investors. Historically, platinum has averaged a cost twice that of palladium, but the pricing has varied dramatically between the two, offering a unique opportunity to investors in the know. More than gold or silver, platinum serves a necessary role in modern industry and transportation. Over 90% of all platinum used in the United States is imported. Platinum remains a key industrial metal for the automotive and medical industry, and with increased environmental concerns and dramatic leaps in the fight against cancer, platinum usage should increase in the coming years. At 14 times the rarity of gold, and mining production almost entirely exclusive to two countries, platinum remains one of the most vital and rare metals on earth and availability is limited. Many investors look to gold, silver, and platinum as a hedge against inflation, government intervention, currency devaluation and political or economic crisis. Platinum maintains these same benefits as gold and other precious metals. Additionally, the relationship between platinum and palladium offers a unique opportunity for investment growth, due to the necessary industrial role platinum plays in our economy today, as well as the changing price ratio between platinum and other metals. Like gold and silver, platinum and palladium can be acquired as coins and bars. Both metals can be delivered to your home, stored privately in a professional facility in the US or abroad, or placed within your IRA. How Does Platinum Investing Differ From Other Metals? Many clients own a mix of gold and silver. While the percentages of a balanced metals portfolio may change, it is rare that a portfolio would be exclusively invested in one or the other. Some may hold large gold positions and a small amount of silver, others the opposite, but few limit their metals portfolio to one or the other. The investment strategy for platinum and palladium is quite different. It is rare you would ever want to own both at the same time. Due to changing market conditions and relative pricing, the strategy employed with platinum and palladium leans towards owning one or the other, and exchanging one for the other at key times. As market conditions change, the relative price between platinum and palladium, meaning how many ounces of one it takes to purchase an ounce of the other, varies dramatically. Over the last 20 years platinum has been as much as 6 times the price of palladium, and as little as 10% less. These substantial discrepancies in price offer a unique investment opportunity. Our knowledgeable advisors will work with you to position a portion of your metals portfolio into the appropriate metal at the right time, and recommend when to swap one for the other, dramatically increasing your total ounces owned at no additional cost.